The concept of menu engineering is not based on random, seat-of-your pants decision making; it is rooted in work performed in 1970 by the Boston Consulting Group to help businesses segment their products in a way that facilitates analysis and decision making. The idea was brought to the restaurant industry roughly a decade later by Professor “Coach” Donald Smith of Michigan State University. While menu engineering is most often mentioned in the context of traditional paper restaurant menus, the concepts are equally applicable to menus posted online, drink menus, specials written on table tents, and items written on menu boards. Simply put, if you sell items that have varying levels of profitability and popularity, menu engineering may help you increase your profits. A well-executed initial menu-engineering effort takes me about a week to complete and can increase a restaurant’s profits by 10% to 15% on an ongoing basis. And the profit impact doesn’t have to stop there. Some restaurant groups call me in once a year to squeeze additional profits out of the same menu, and although the low-hanging fruit has already been picked in these cases, I have always been able to find additional profit increases that tend to be in the 10% range. The difference between the more and less successful attempts at menu engineering does not hinge on an establishment’s type or size. Instead, the determining factors are the restaurant owner/manager’s knowledge of the menu and willingness to put in the time and effort needed to understand the process and execute changes. And if you need proof that the benefits are not restricted to a select few, here’s a compelling fact: I have been in the business for more than three decades and have yet to have a customer take me up on my money-back guarantee that clients who follow my recommendations will increase profits by at least $1,000 in each restaurant. The restaurant industry has a lot of low-hanging engineering profit waiting to be picked. Out of 100 randomly selected restaurants, I estimate that 40 of them are performing some sort of menu engineering. And these locations are not specific types of restaurants—they are both big and small, high-end and lower-end. Furthermore, out of these 40, I estimate that only 10 are doing a good job with their engineering efforts. The other 60 out of 100 aren’t performing any engineering at all and are leaving a lot of easy profits on the table. “Costing a menu” refers to the process of breaking down every item on your menu to its individual ingredients and determining exactly how much it costs to create each of these items. Establishments absolutely must cost their menu to the penny for food (not labor) costs because the engineering process depends heavily on the profitability level of each menu item. It is important to note that the person who performs the menu costing is generally the best person to be put in charge of the menu-engineering process, as that person will be highly knowledgeable about the food costs of each menu item. For this reason, I always suggest that someone in charge at the restaurant perform the costing process. Unfortunately, one of the biggest problems in the restaurant industry is that roughly 80% of restaurants don’t cost their menu, and another 5% cost their menus incorrectly (“correct” menu costing means that everything is costed consistently by a single person, as different people will cost items differently). The reason behind the 80% figure is simple: costing a menu is very time consuming. Unfortunately there is no way around that fact, and you have to put in the work if you want to reap the benefits of a more profitable menu. The term “category” refers to the way you break your menu out at the broadest level. The list of what is considered a category is not set in stone, but for some guidance, following are the names of some common categories: Appetizers, Entrees, Desserts, and Drinks. The key is that there is no overlap between the menu items in the various categories and that the list makes sense for your particular menu. 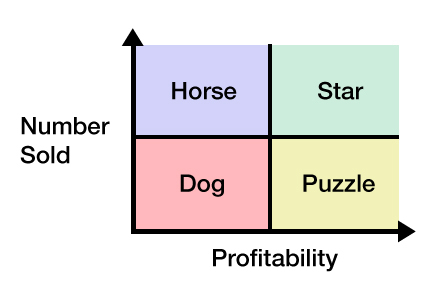 Break out your categories into sections. You can define “section” in different ways according to your menu’s content, but to give you some guidance, here are some common sections that fit into the Entree category: Vegetarian Entrees, Seafood Entrees, Meat Entrees; and here are some for the Drinks category: Alcoholic Drinks and Nonalcoholic Drinks. However you define your sections, be sure to keep distinct types of menu items separate from each other (that is, don’t include a collection of vegetarian entrees and meat entrees in the same section). For this step you may want to create a simple spreadsheet displaying each of the menu items beneath its category and section heading. Use the profit/popularity information from part (b) to help determine how you want to deal with each of your menu items. You will need to look at the menu items ranked by profitability and popularity at the category level first and then at the section level. Viewing your data at the category level can help you decide where to place the various sections of your menu (for example, if steak items are your Stars, you may want to work hardest to promote the Meat Entrees section). Viewing the data at the section level will then enable you to determine how to place and promote menu items within each section of your menu. Stars—This is easy. Your menu should highlight your Stars. Plow-horses—You may want to create more profitable versions of these menu items. For instance, soup-and-salad specials often fall into this category, and you might try turning such a special into a more profitable three-salad sampler. Puzzles—Make sure your servers are promoting these items and investigate whether customers like the taste of the items in question. Sometimes simply lowering prices will increase sales volume enough to produce higher overall profits, and you also may want to consider reinventing items in this category. Dogs—While omitting such items may be an option, you can’t necessarily omit everything in this category (just think of a grilled cheese sandwich that is a staple among your youngest customers). Your best option may sometimes be to deemphasize these items by simply listing their title and prices on your menu and not putting any further effort into their promotion. Once you have worked through this step, your menu-engineering goals are in place and you are ready to begin the menu design phase. Part of the design process involves highlighting the items you want to sell the most (your Stars), but it goes beyond this and can’t be accomplished with a simple checklist. 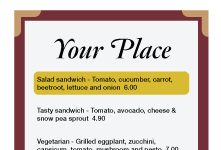 When designing your menu it pays to consider your customer base: what types of customers order which items, what drives them to your establishment (a certain dish, cheap drinks, atmosphere), do your customers read your menu thoroughly, and other factors. 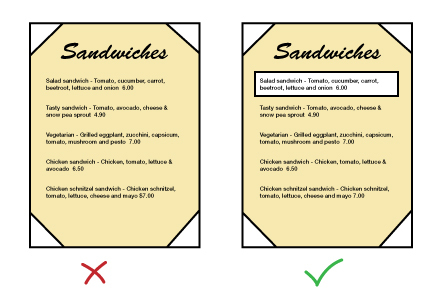 Menu design does not exist in a vacuum, and having such information informs how and when you should apply certain menu design techniques. You can use various types of graphics to highlight an item, such as putting a box around it, placing a photograph or drawing near it, or placing an asterisk next to it. 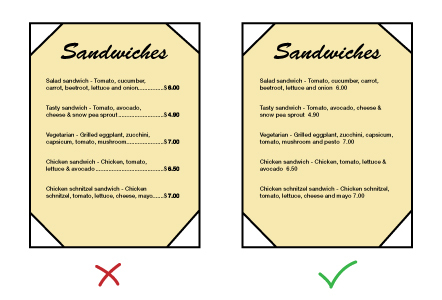 Space requirements—Highlighting items often takes up additional menu space, so please don’t make the mistake I have seen many times when restaurant operators choose a menu cover that doesn’t provide enough room to effectively promote their items. Frequency—As you increase the number of items that are highlighted with visual cues, the impact that these cues have on your bottom line will decline and your menu may begin to look cluttered. I often limit myself to one highlighted item per category. Photographs—My research indicates that using a photograph can increase sales of an item by as much as 30% when there is just one photograph on the page (again, the more visual cues you add, the lower their impact). That said, photographs on a menu also tend to cheapen the entire menu concept, so don’t use this technique at a high-end eatery. This is the number-one problem I see with restaurant menus. Placing your prices in a column causes customers to focus on price, not your food, and could lead them to choose the cheapest item in the column. Instead, place prices just two spaces after the end of the item description, using the same type font size and style. Also, don’t use a dollar sign or the word “dollar” next to the price, as that causes customers to think about money. Another common problem is a menu’s failure to have an item’s description reflect its importance. Don’t list your $40 lobster without a description and then write an entire paragraph about your $10 hamburger. It should be the other way around. Use descriptions to set an item apart—Don’t just list the ingredients; use evocative text that can pique a guest’s interest in a dish. Also, you may want to tell customers why the item is on your menu: Did your grandmother use this recipe? Was it your favorite dessert as a child? Humanizing a dish takes it out of the realm of being a commodity. Mention brand names—If your ingredients include items (such as sauces, spices) that are made by well-known and respected brand names, include these brand names in your description; they enhance the perception of the item’s quality. List order matters. Although you may list your appetizer and entree menu items in a vertical list, one through six, the level of customer focus on each of these six positions does not follow the same order. The first few spots enjoy levels of importance that correspond to their position in the list, but after that it is the last item in the list that gets the most attention. The items just above the last item in the list are the most ignored. Lists should be short. My goal is to put five or fewer items into each section, with a maximum of seven. More than seven items in a list constitutes information overload for the customer, and when this happens customers often default to ordering the most common item (such as burgers). Unfortunately, the most common menu items tend not to be the most profitable ones. On the other hand, smaller lists are easier to navigate and lead to higher profitability due to the purchasing of higher-profit entrees and a higher number of add-on items. 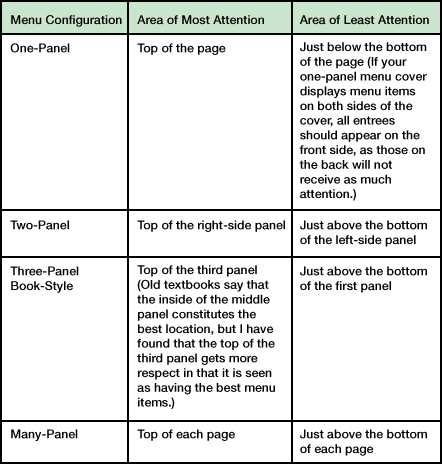 Not all menu cover configurations (one panel, two panels, etc.) are created equal. They differ in the way customers react to them and in the extent to which they allow menu engineering to affect your profits. Choose carefully. One-panel menu—People make decisions faster with these menus, but they won’t order as much, thus leading to lower profitability per customer. The reason for this phenomenon is that this menu cover configuration doesn’t evoke a full dining experience; it indicates something more light and casual. Two-panel menu—Whenever possible, this is the best configuration to use. It is easy to read and induces the strong feeling of a full dining experience. Three-panel menu—This is a valid choice if you have many items to sell and need the space, but the two-panel version is easier to read. Many-panel menu—The more panels you have in your menu cover the less control you have over the menu. Larger menus hinder your ability to influence customers’ actions. The eyes of your customers tend to focus on certain areas of your menu depending on your menu cover’s configuration. You can use knowledge of these patterns to place chosen menu items in spots where they are likely to receive the most—or least—attention. If the dish you want to promote is very expensive, you may want to keep it out of the menu’s highest focal point, as this may make your restaurant appear too expensive. 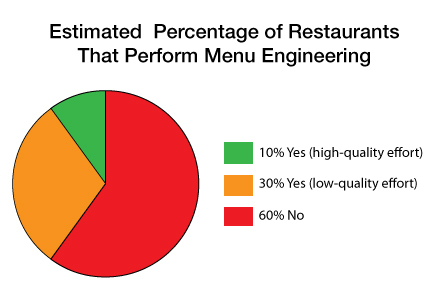 While the term “menu engineering” implies that the menu is responsible for your profit increase, some of your engineering profits can stem from teaching your staff which items are priorities. They are the ones who interact with your customers, and they can be instrumental in guiding customers to your most profitable or signature dishes. When working with large restaurant chains I typically use 10 to 90 restaurants as test cases for the new menu. With regional chains I typically test using a single location, and for single-unit operations I generally don’t run a simultaneous test of the new and old menus because tracking two sets of results from a single location can get complicated. Whatever method you choose, remember that when it comes to designing the one piece of free advertising that all of your customers will see—your menu—there is always room for profit improvement. Continually test new menu designs. This article is based on a series of interviews that Menu Cover Depot conducted with California-based menu engineer Gregg Rapp. Gregg Rapp is a menu engineer who has helped restaurants create more profitable menus for the past 30+ years. He has worked with the country’s largest restaurant chains, been quoted in national publications, and has appeared twice to speak about his craft on NBC’s Today Show.